Some friends of our celebrated their 9th anniversary yesterday, so what better excuse to play a little again with my Unity Kit of the month? I am really happy with how this came out - it was so much more sparkly and yet still vintage looking than it shows in the picture! 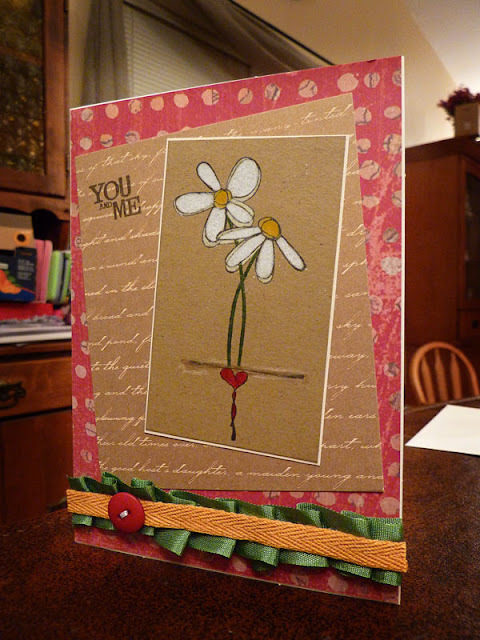 Used Unity stamps for the main image, as well as the sentiment, and colored the little flower in with my Prismacolor pencils. Used my Tim Holtz distress tool on the edges of everything but the background, did a little faux stitching, and added LOTS of glitter. Finished off with some lace, velvet ribbon, and a string of pearls. As it has always been for me, all proceeds go straight to building houses for widows and orphans in Burundi. It is something my family is passionate about - in fact was inspired by my two daughters who don't end a day without praying for the "women and children in Burundi to have a house." Okay...this card was fun to make! Just got my March Kit of the month from Unity Stamps the other day, and as usual, I had a favorite image I couldn't WAIT to stamp! This time around - this was my favorite!!! As a side note, look at that beautiful lace! That came from MY mama...I was out at her house after church on Sunday, and since she does a LOT of sewing and quilting, I asked her if she ever had scraps of "vintage - y" looking lace. She opened a dresser drawer full of lace and started handing stuff over to me!!! And the nifty yarn that is next to the lace is from my best friend who is a knitter, and passed some bits of yarn to me to use! I love how they both go together with this card so well! I am entering this in the Unity Stamps Monthly Challenge - Fashion Forward﻿ - this gal just looks so stylish and hip to me!!! So both the image and sentiment are from Unity Stamps, and stamped the sentiment inside a small frame that was pre-printed on the paper set that I used on the card. I then used my Tim Holtz distress tool for the edges of the oval, and inked everything. Added the lace (thanks Mom!) and the yarn (thanks Hannah!) and finished with some buttons tied with a bit of floss. 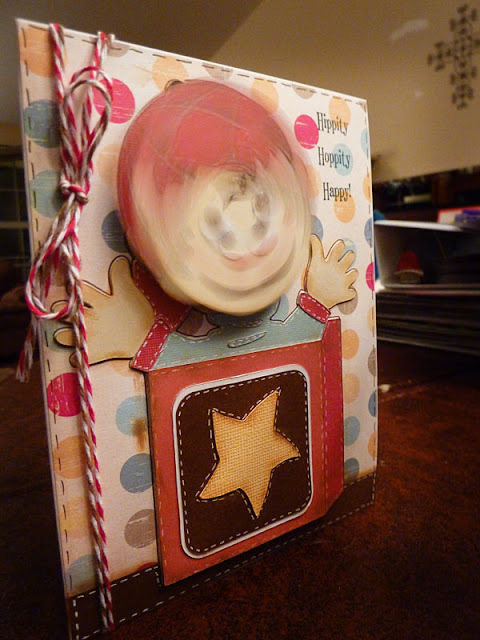 Jack in the Box - on an Action Wobble!!! Well...it took lots of tweaking, and I still think if I did this card again that there are a few things that I would change - but I couldn't get this idea out of my head once it popped in there!!! I was trying to think of ways to use my new action wobbles, when this jack in the box from Nate's ABC's popped into my head. (Of course, the fact that I was driving back from taking a friend to the airport and 3 AM and trying to stay awake probably had NOTHING to do with it!) 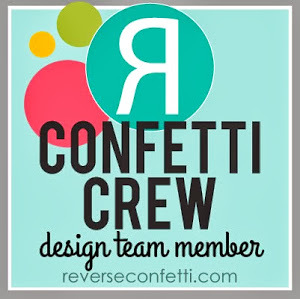 I am also entering this in the weekly challenge on the Cricut Circle Blog - to make a "Just Because" project. The jack in the box, of course, came from Nate's ABC's. I cut his head again separately to attach with a wobble (you can see the motion of it in the last two pictures, at least a little bit). I inked the edges of everything, added some faux stitching, and put glossy accents on the eyes, nose, and mouth. At my husband's suggestion I also cut a long narrow rectange to make a "table" for him to sit on - and that added SO much to the finished card...it just didn't look right before that! 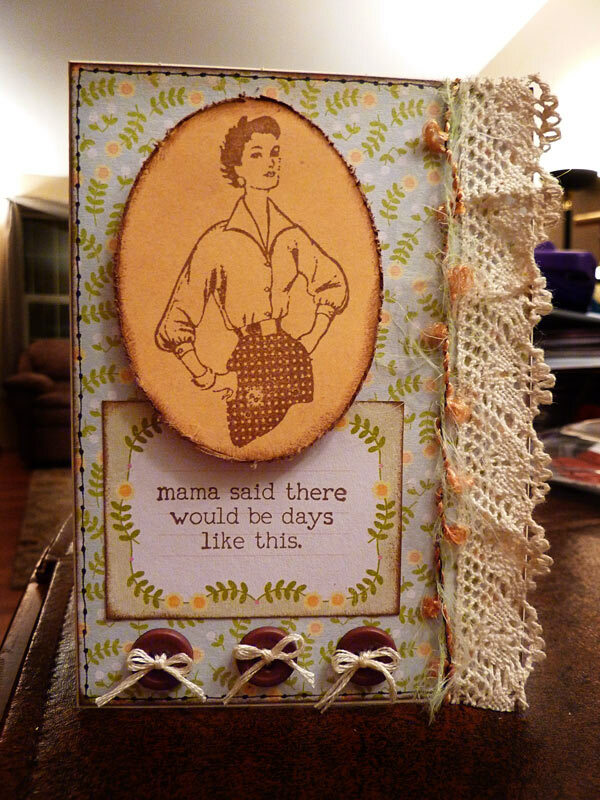 Finished off with a little Baker's Twine, and a sentiment from Pink by Design. Mom's are the best flowers picked! Another Mother's Day card! This is also my first try at using an Action Wobble! And...it is so much fun, that I know I will be using them LOTS more!!! I am entering it in Peachy Keen's Let's Face It Friday "Flower Power" Challenge - to use handmade flowers, and a Peachy Keen Face. Also entering it in Scrapbookaholic by Abby's Challenge #2 - anything spring! 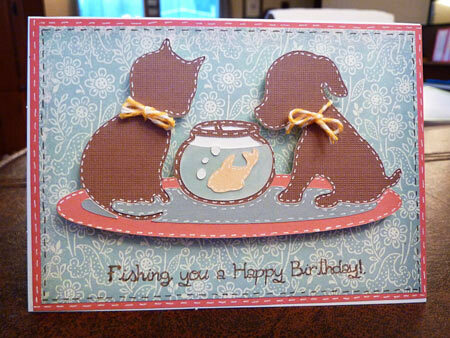 For this card I cut the pitcher and shadow from Country Life cartridge. I cut an extra set of the flowers, and curled the edges a little and attached them with brads to the first one for a little dimension. 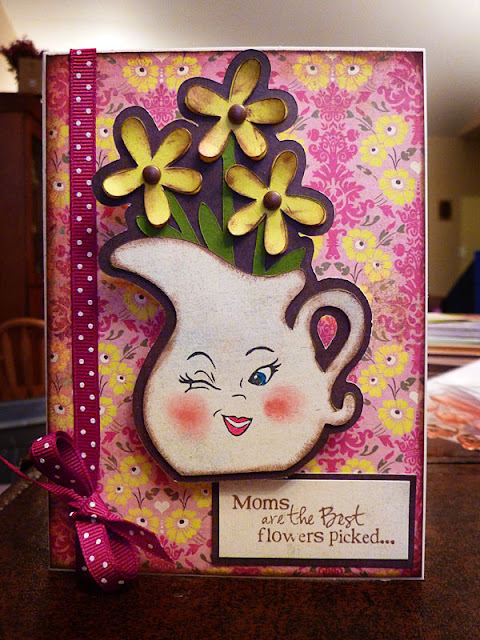 Inked the edges of everything, added a sentiment from My Creative Time stamps, as well as a Peachy Face on the pitcher, and finished with a little ribbon and bow on the side. I don't have a video, but the last two pictures show a little bit what the action wobble does...just in case you're curious!!! 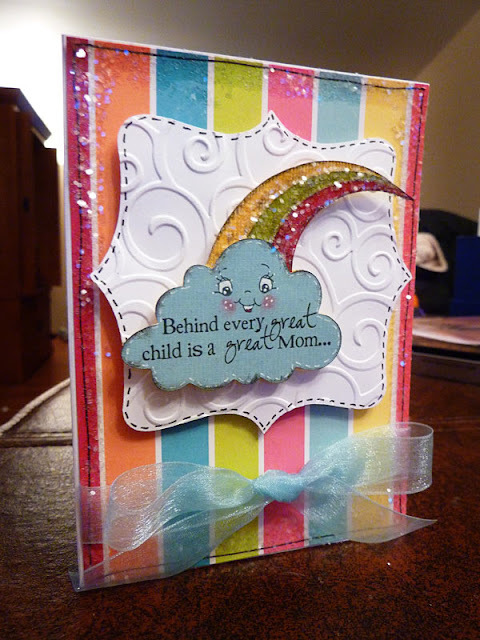 I'm still having fun doing Mother's Day cards, and for some reason when I saw this sentiment, I just couldn't help but picture the rainbow from Simply Charmed cartridge with it...and LOTS of glitter!!! I am also entering this in the Paper Playtime Challenge #41, because I used pink and glitter, and in My Creative Time's Throwback Thursday Challenge by using an older cartridge and the color green somewhere in the project. 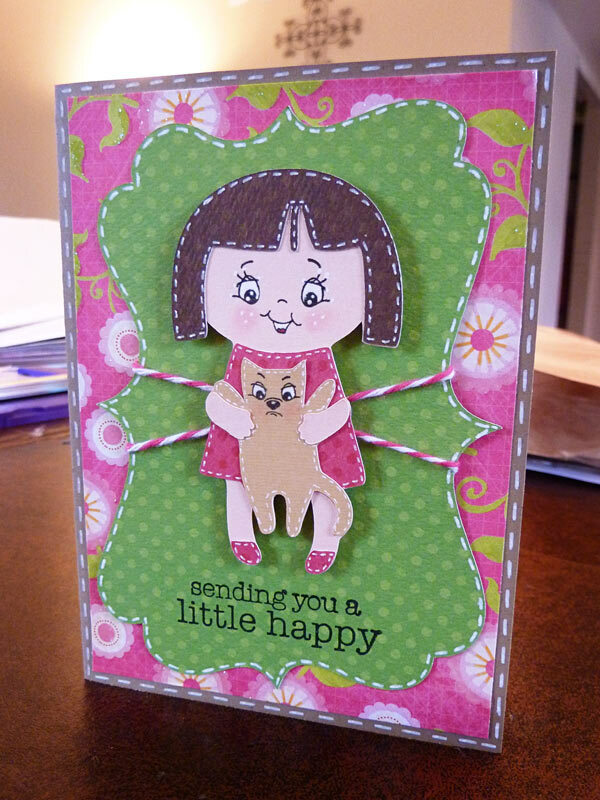 It is also based on the sketch challenge over at Peachy Keen's Challenge blog. 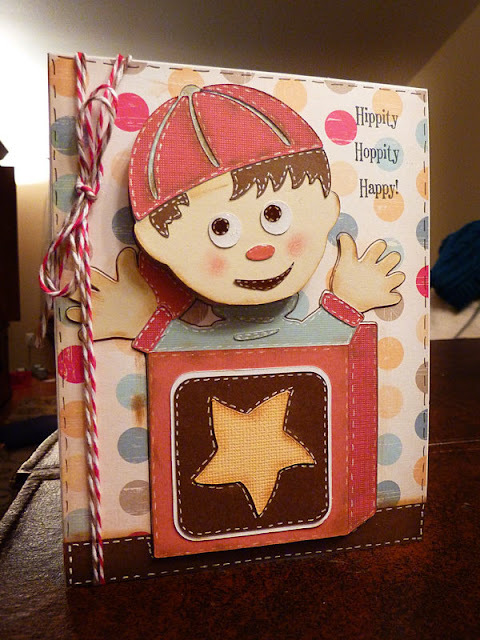 For this card, I got the background image from Gyspy Wanderings, stitched around the edges, and ran it through my Cuttlebug. 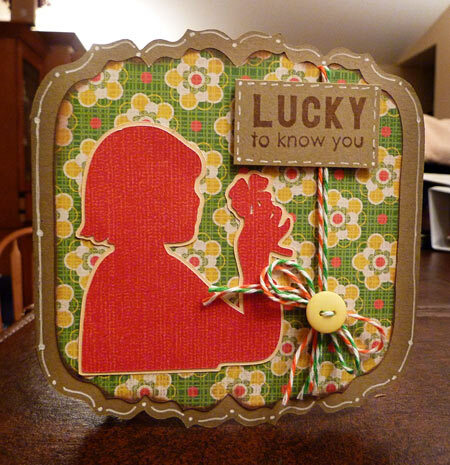 The rainbow was, of course, from Simply Charmed, with the sentiment from Emma's stamps and a Peachy Keen Face. 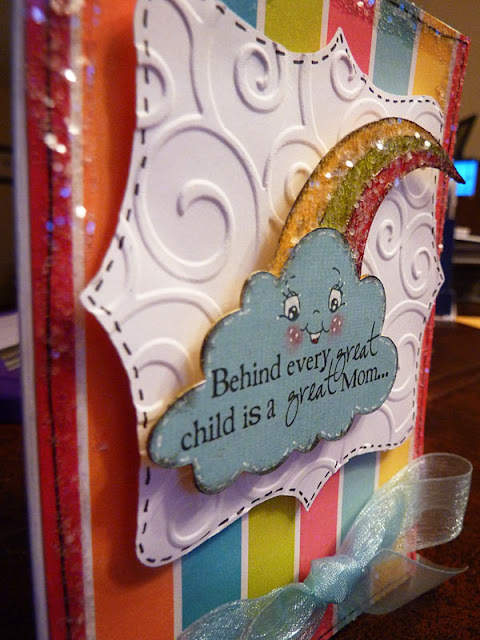 Inked the edges of each of the cuts, and then added glitter over the rainbow colors, and around the outside edges of the card. Added a sheer ribbon bow along the bottom, and then pop-dotted both the background shape and the rainbow - so this card has a LOT of dimension! Thanks for looking - and hope you have a sunny day!!! Happy 11th Anniversary to my hubby!!! Just posting a quick card today that I made for my hubby, since today is our 11th anniversary!!! Can't believe how FAST 11 years has gone! And I would still do it all over again in a heartbeat - God has blessed me so much!!! 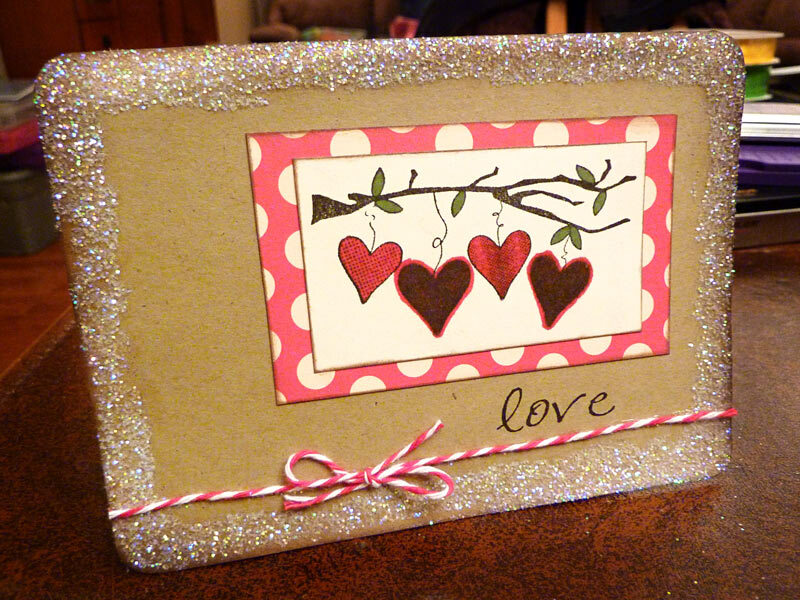 Anyway, for this card, I used a Unity Stamp set from an older store kit...don't remember which one...pop dotted it from the background, added a simple ribbon border and some inking, and then stuck on these little hearts that I had cut out and covered with Glossy Accents and glitter and never used for another project. The second picture shows the pop-dotting a little better. Thanks for looking, and have a BEAUTIFUL day!!! I FINALLY got my first set of stamps from Emma at My Creative Time and before I even had them I was full of ideas for how to use them. 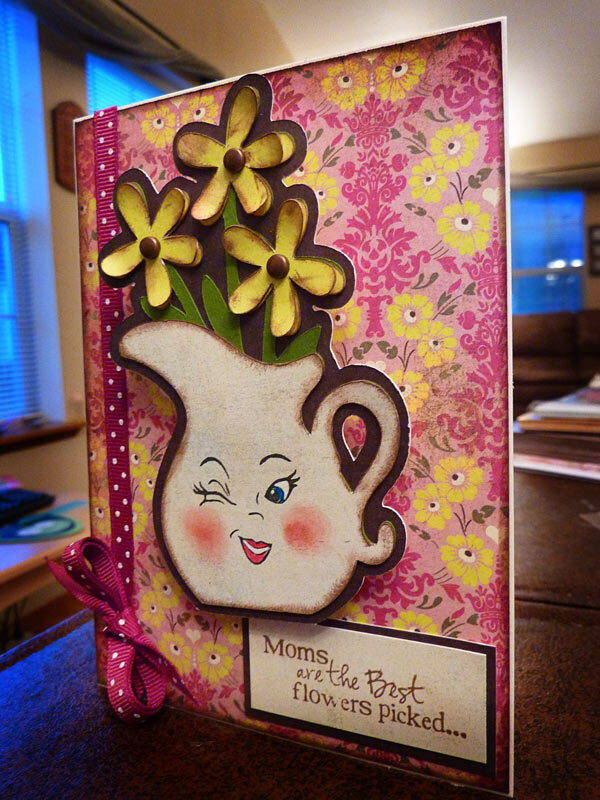 I got the "Mom You Rock" set, so I will be working on lots of Mother's Day cards in the near future. This is the first one that I just HAD to make last night, 'cause I couldn't wait!!! 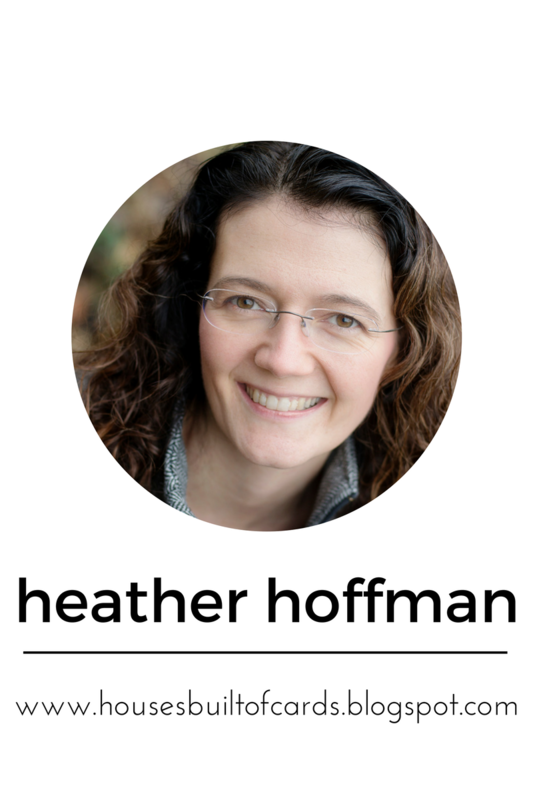 I am also entering this in the challenge over at the Creative Cutter Room, to show what I feel lucky to have in my life right now - and I feel so lucky (or blessed!) to be the mom of my two wonderful children, and to have my own mom be a part of our lives!!! The card base came from Wild Card (another often forgotten cartridge for me! ), and the rest of the cuts came from Simply Charmed. 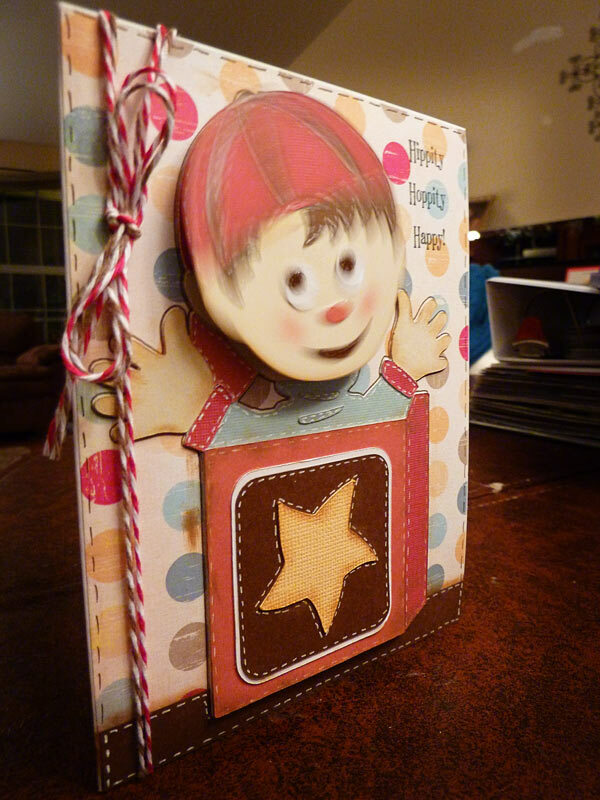 I hid the face on the notebook paper and the glue, and added a Peachy Keen face to my glue bottle. 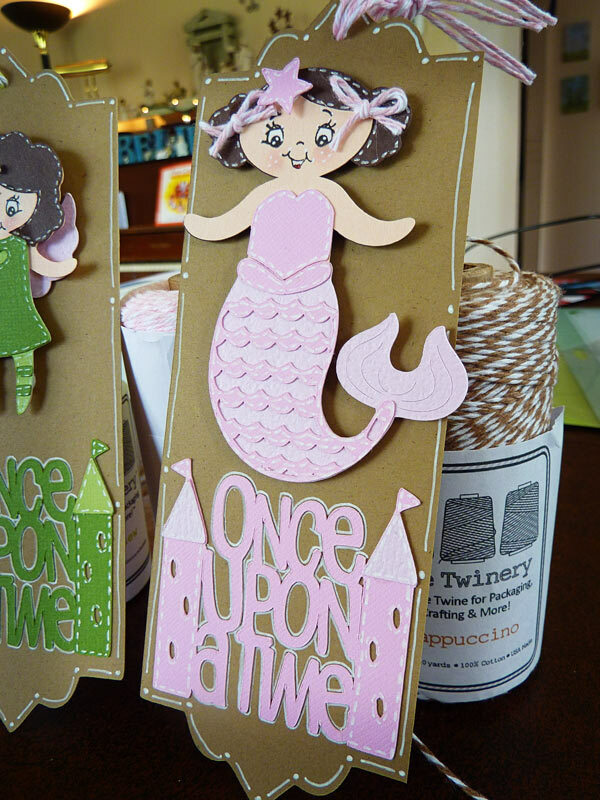 Did lots of inking and doodling, pop-dotted the glue bottle, and added a Baker's Twine bow along the side. 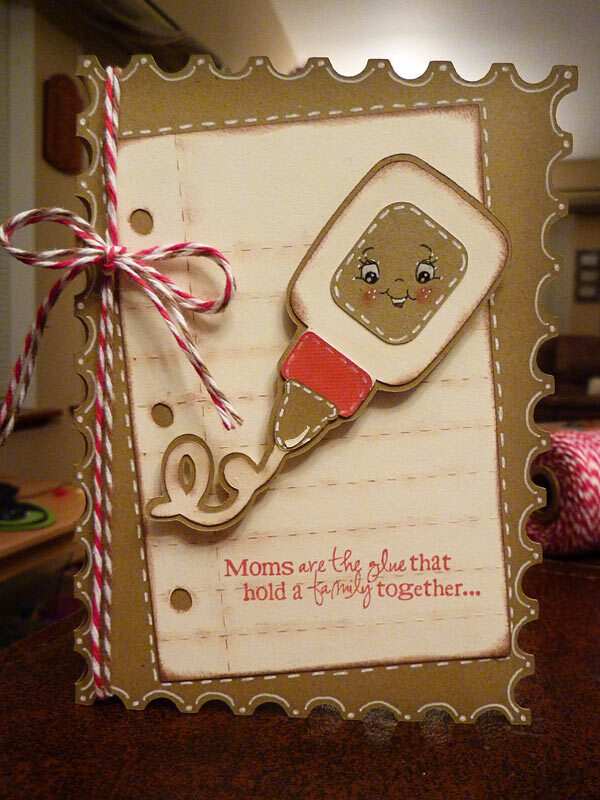 The sentiment is for course from my new set, and the picture doesn't show it very well, but I put Glossy Accents on the glue, the little red part of the bottle, and the eyes on the Peachy face. I managed to have a few minutes to make a card yesterday morning, but didn't have any time to post it. So...here it is today! 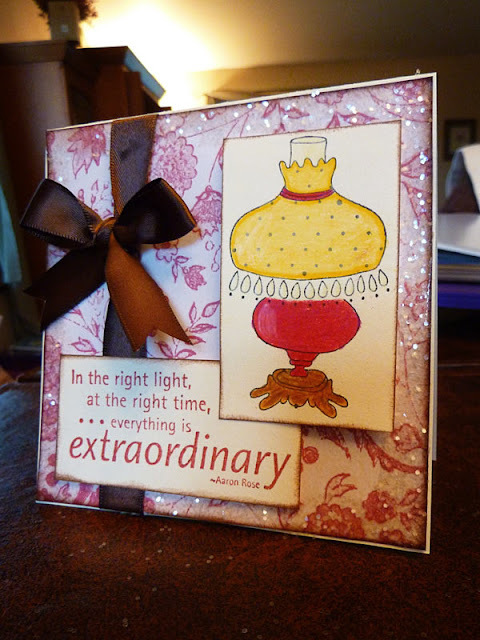 Used Unity stamps for the image and sentiment and colored the lamp with my Prismacolor pencils. 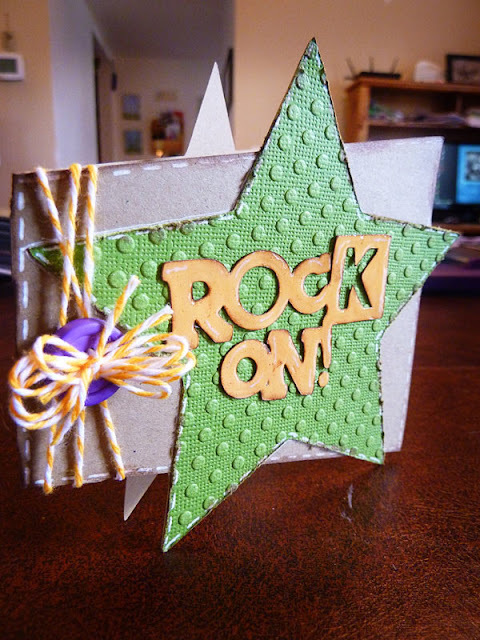 Then inked all the edges, added glitter around the outside edges of the card, and finished off with a simple bow. Also pop-dotted the lamp and sentiment. The other day, I went to a yarn store with a friend. Now, even though I know how to knit and crochet since I learned as a little girl, I have decided that I only have time for one hobby alongside daily life, and that is playing with paper. 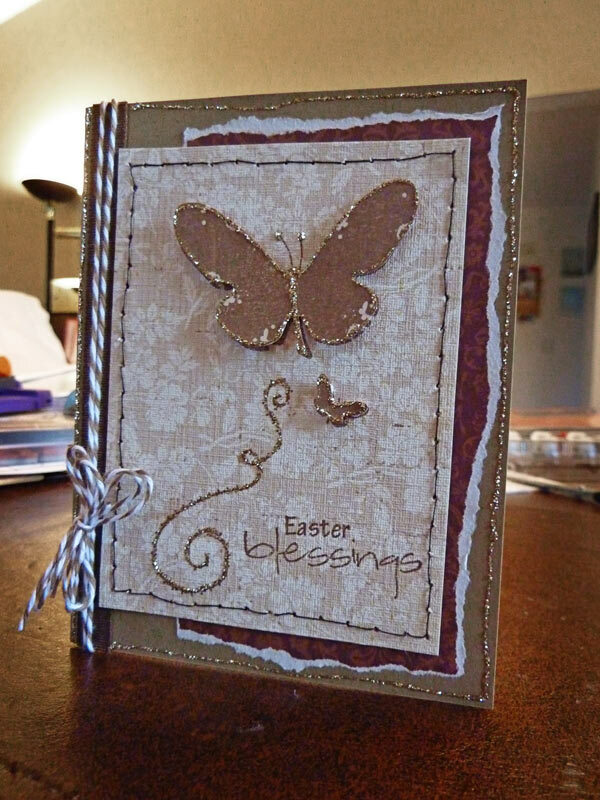 However, they had some really yummy yarns, including a basket full of small remants and such...sooooo, since I loved some of it, I decided, why not put it on a card? For this card I used a Unity stamp from my February Kit of the Month, a sentiment from Pink by Design, and some coloring with my Prismacolor pencils. Added the yummy yarn I got with a button for the center, some inking around the edges, and a bit of Glossy Accents on the wings and over the sentiment. 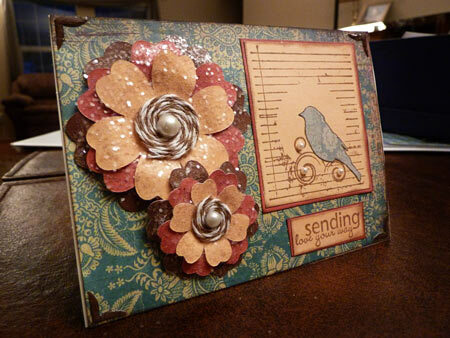 Finished off with a little bling in the corners with my Jolee's heat set tool, and some doodling in between. Glitter and a Unity Bird! Okay...I think that I am REALLY in love with this card!!! I also was rather tickled to have time to work on a card! I finally learned the right technique to put glitter on my Cricut cuts - so look out! I am pretty sure I will be doing it a LOT in the future!!! 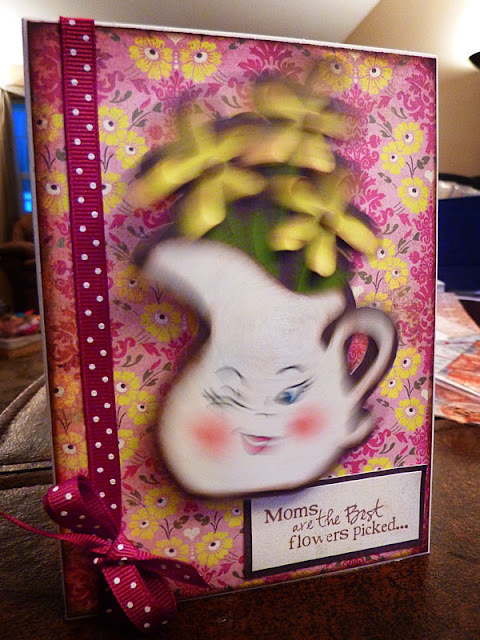 For this card, I cut the same flower out 6 different times from the Sweet Treats cartridge in varying sizes. Topped them with Glossy Accents and added my glitter. Let them dry, layered them together, added some Baker's Twine for the center, and a little pearl. Added a stamp, and sentiment, from Unity Stamps, some inking, and some corners from my Fiskars corner punch with a bit more Glossy Accents on them. Hope you're having a great weekend! Thanks for looking! "Fishing" you a happy birthday! Okay, so ever since I got Nate's ABC's - I have LOVED this cute little image! So I knew it was only a matter of time till I was able to use it - and yesterday was the day! Added a bunch of faux stitching, some cute little Baker's Twine bows around their necks, and isn't that the perfect sentiment from Pink by Design?!?!? 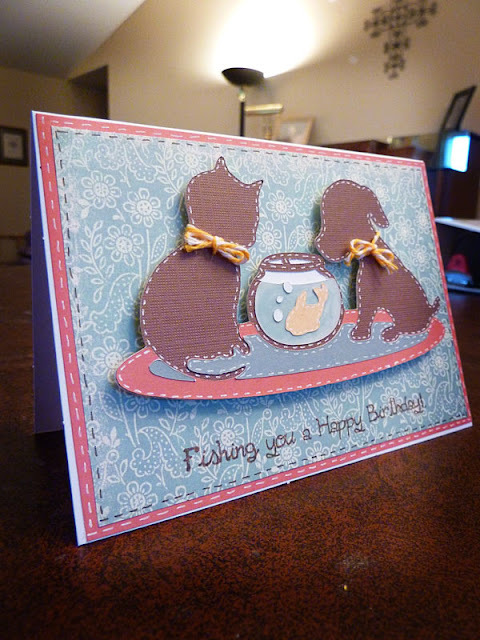 I have had these cute little owls stamped and cut out and sitting on my table for several days now, and finally decided to get them put on a card. I already knew the sentiment that I wanted to match with them, so I pulled out my Cricut yesterday to cut out a cute little branch for them to sit on. 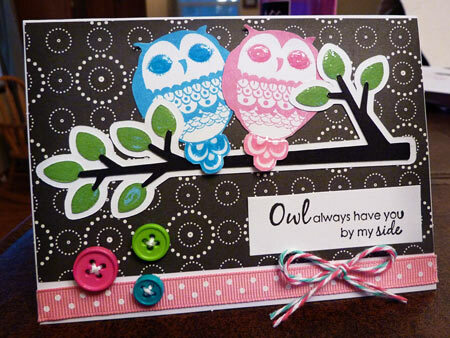 The branch is cut from Serenade, and the owls and sentiment are from Unity Stamp Co. I added Glossy Accents to the leaves, and the eyes and tails of the owls. Finished with a bit of ribbon, some buttons, and a little Baker's Twine. There have been several things lately that have made me inspired to make something with butterflies! The first is over at For the Love of Life - she had a Butterfly Linking Party yesterday. I'm a day late, but figured I'd try to add it anyway! 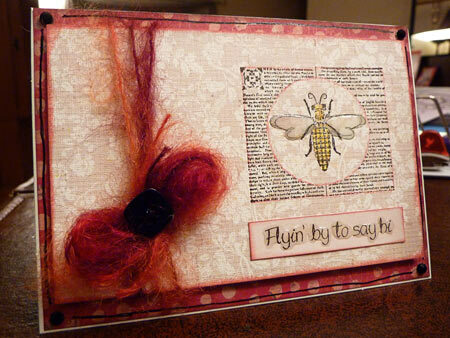 Also going to submit it to the All a Flutter challenge at Getting Cricky with K Andrews. Use a Unity stamp from a store kit I won off of ebay a while back. 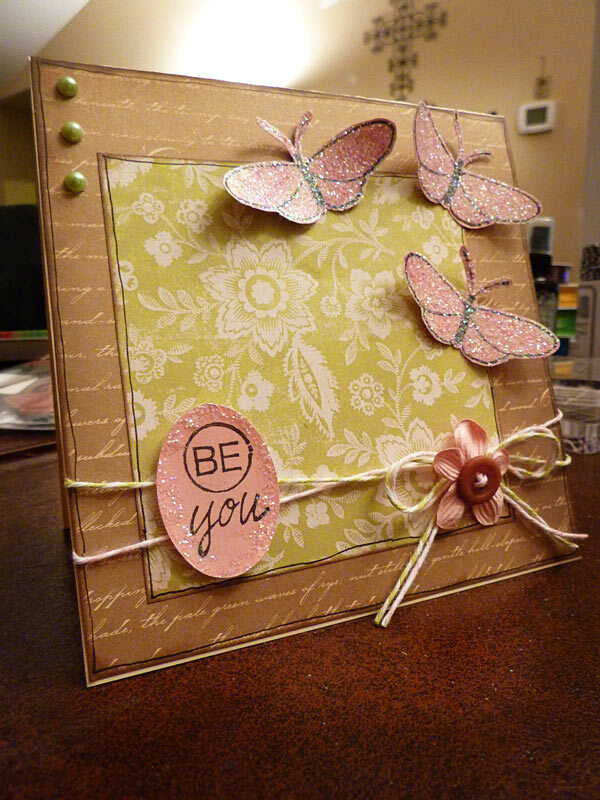 Stamped the butterflies on the background paper, and then stamped them again, and pop-dotted them on top of the first ones. 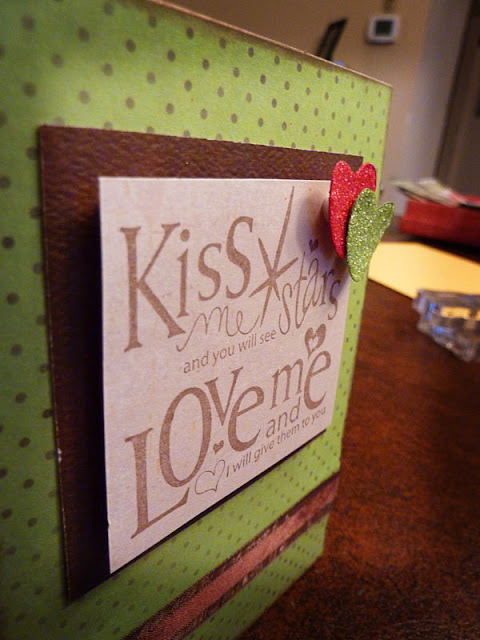 Then for the first time, I added some real sewing (hand stitched) around the edges of the stamped paper. 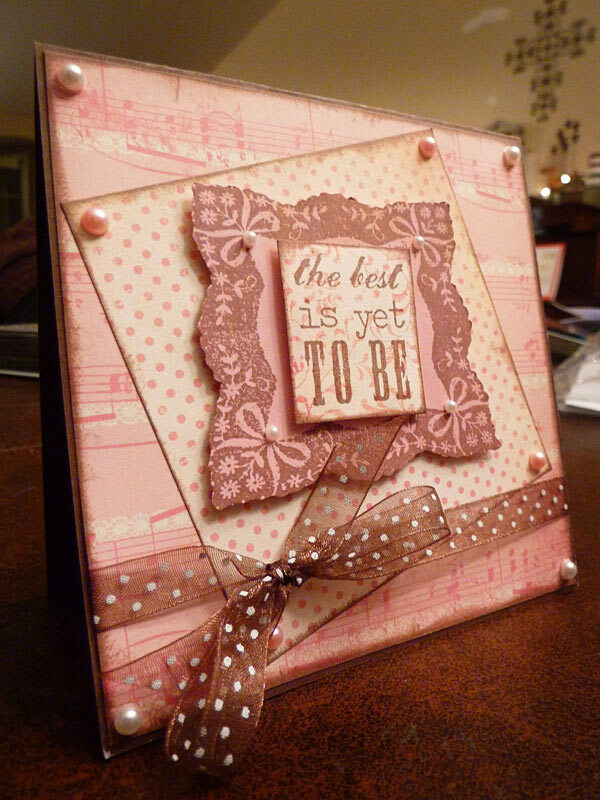 Added stickles, some ribbon and Baker's Twine, and a sentiment from Pink by Design. Good morning! I'm so glad it's the weekend! I had seen somebody in the past week stamp this Unity Stamp on Kraft paper - and I just happened to get in my grab bag - so it was the perfect inspiration! Stamped it and colored it with my Prismacolor pencils. I also (for the first time ever...maybe the last time!) 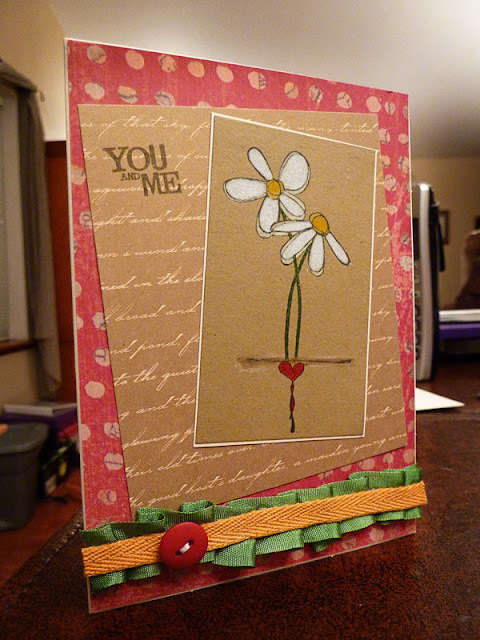 I stitched the green ribbon in a creased arrangement before attaching it to the card! I only had hot pink ribbon handy, so I added the yellow ribbon to cover up the hot pink! Had to add a button to finish it off. I think this is one of my new favorite stamps - so cute! Sending you a little happy - for FOUR challenges!!! I LOVE Fridays!!! My girlies finished their schoolwork, and I got some housework done, so I could sit and play without feeling guilty! Finally broke out my long coveted, and finally received Playtime cartridge, and decided to use it for the first time to complete FOUR challenges!!! The first is Peachy Keen's Let's Face it Friday Challenge - this time to use stitching, real or faux, and Peachy faces. The second is a Sugar and Spice challenge over at Getting Cricky with K Andrews - the girl is the sugar, and the grumpy kitten is the spice! The next one is over at Flaunt It Fridays where they are flaunting Twinkle Toes (or a similar cartridge if you don't have it!). I figure this is another Lite cartridge with cute kids on it, so hopefully that is similar enough. 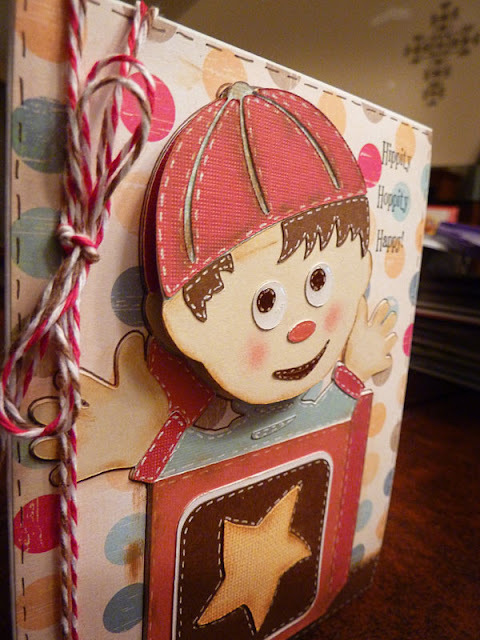 The last one is over at Scrappy Mom's Stamps Terrific Tuesdays - using B is for Boys or Sugar and Spice (or again, a similar cartridge). The background and the girl with the kitty are both cut from Playtime cartridge. I added a Peachy face to both the girl and the kitty, a little Baker's Twine, a sentiment from Unity Stamps, and LOTS of faux stitching! I'm loving this one - I think it's the girl in me! Thanks for looking! 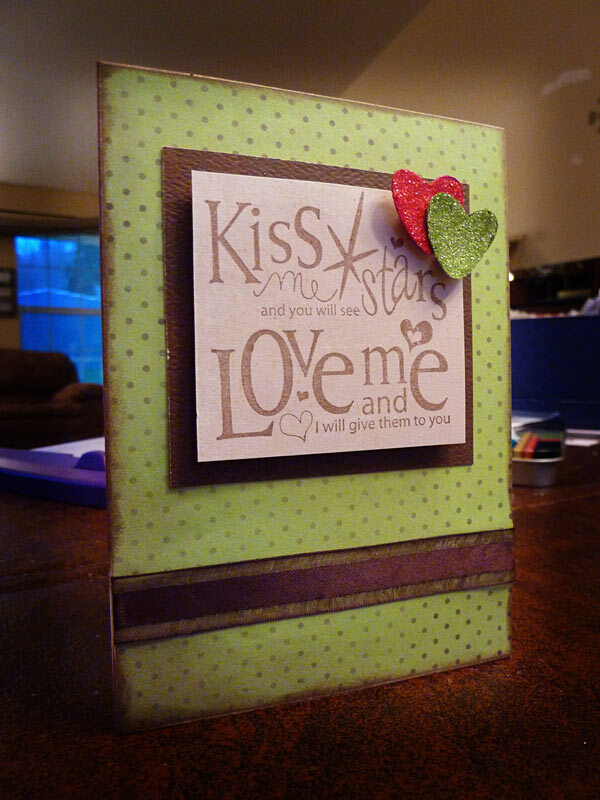 Just a quick card that I made with the Unity Stamp set called "Love in the Air" (although the clouds came from "Sunny Happy Skies"). I think this is my new favorite!!! 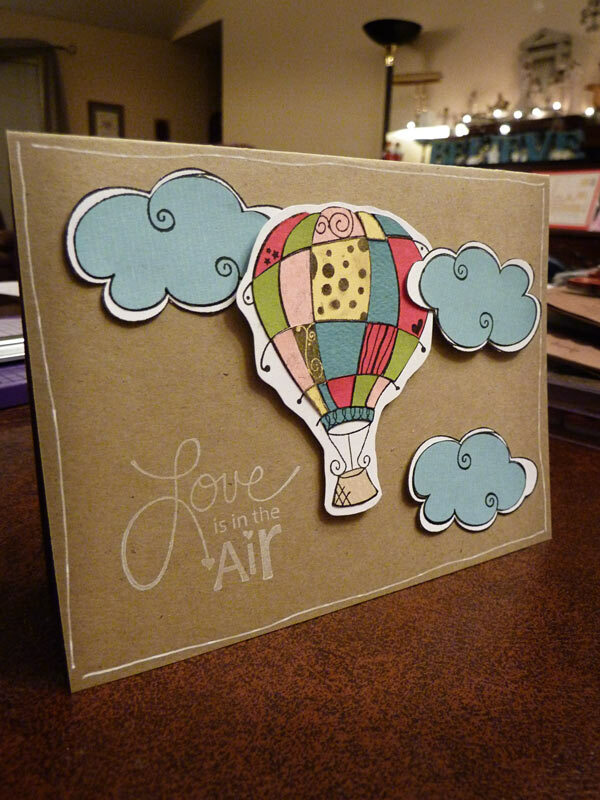 I stamped the hot air balloon on white cardstock, then on 6 different colors of cardstock and cut out the pieces to assemble and glue on the original. Did the same thing with the clouds, only just 1 color! Added some pop-dotting to one of the clouds and the hot air baloon, and a quick doodle with my white gel pen around the edges. Thanks for looking! Just realized that I didn't get this posted on my blog! 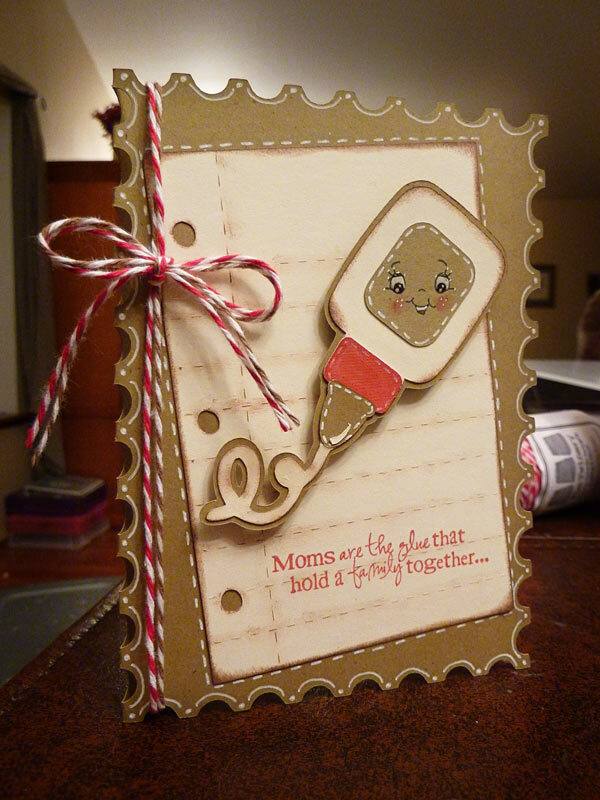 This is for the current Hip Hop Sketch over at Split Coast Stampers, and I posted it there, but not here! 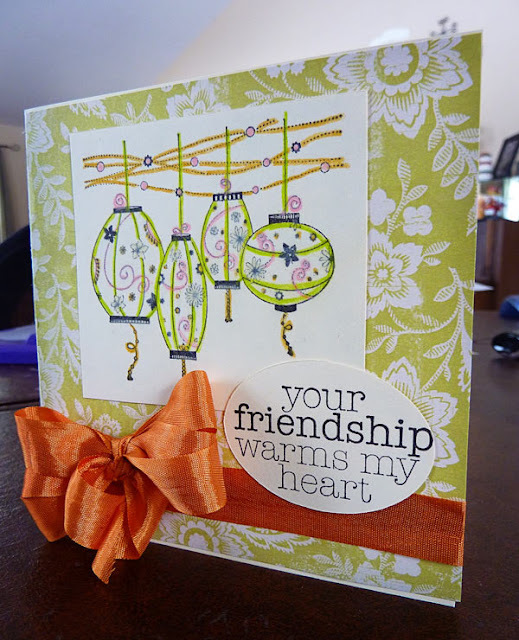 Just used my Unity Stamps - the lanterns from the February Kit of the Month, and the sentiment from one of the grab bags I got. colored with Prismacolor pencils, and inked all the edges. Added a bit of ribbon to finish. Rock On! Birthday card for my nephew! I can't believe that tomorrow is my nephew's birthday! He was only about 2 weeks old at my wedding, and is now turning 11!!! Which means in 2 short weeks, I will be celebrating my 11th anniversary. My, how the time flies! Anyway, as usual, boy/guy cards are a bit of a challenge for me, but I think I pulled one off! 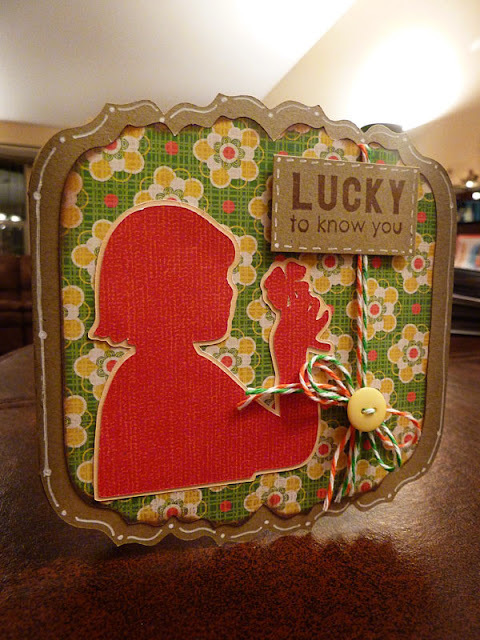 I am also entering this in the color challenge at More Than Favors - Wacky Wednesday's to use green, yellow, and purple, as well as the Cricut Circle Blog's weekly challenge - this week to make a guy card incorporating at least 3 different elements. I chose twine, distressed edges, buttons, and stars - so I guess I did 4 things! 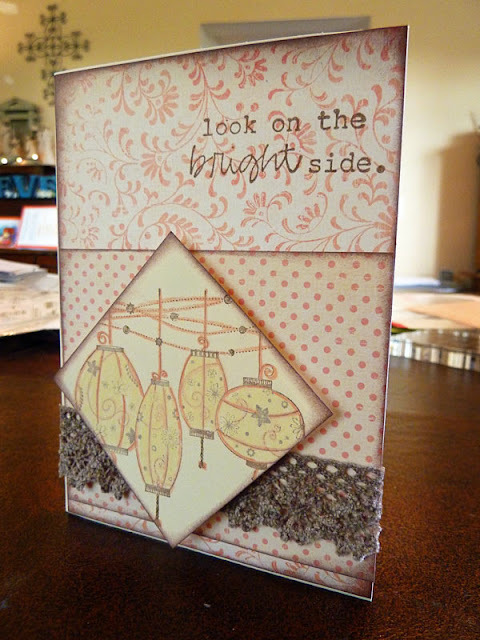 I used Birthday Bash for the card base, star, and sentiment. 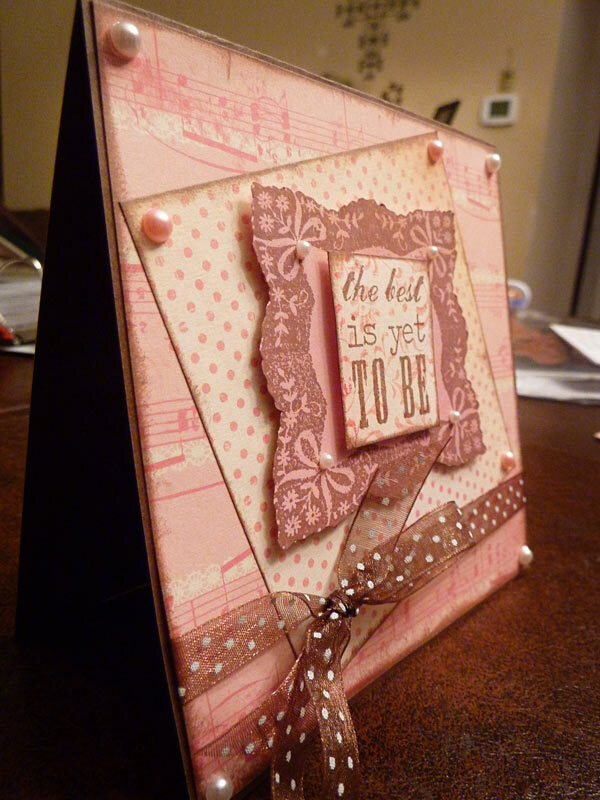 Ran the star through the Cuttlebug, added doodling, inking, and used my Tim Holtz distress tool on the edge of the star. 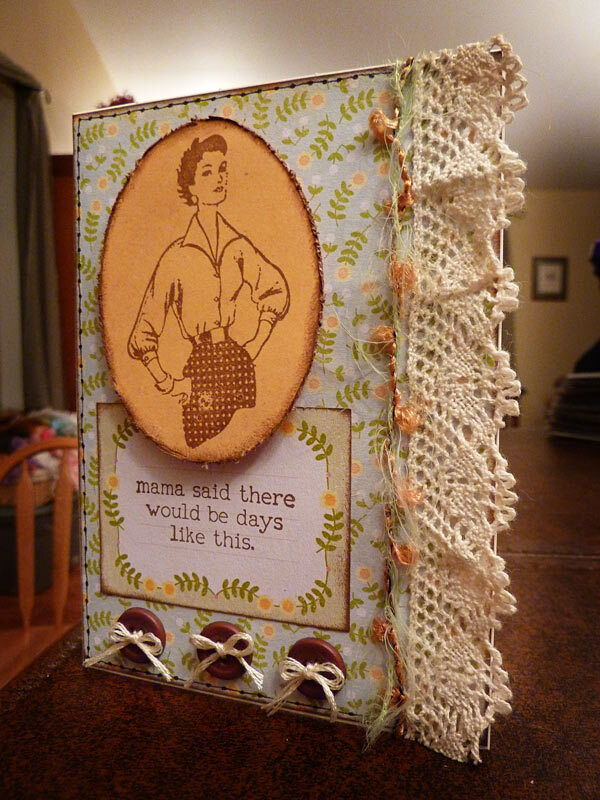 Also put a little Glossy Accents on the sentiment, and finished with a little Baker's Twine and a button. So...don't look at this today Mom!!! Tomorrow is her birthday, so I needed to get this done for sure! 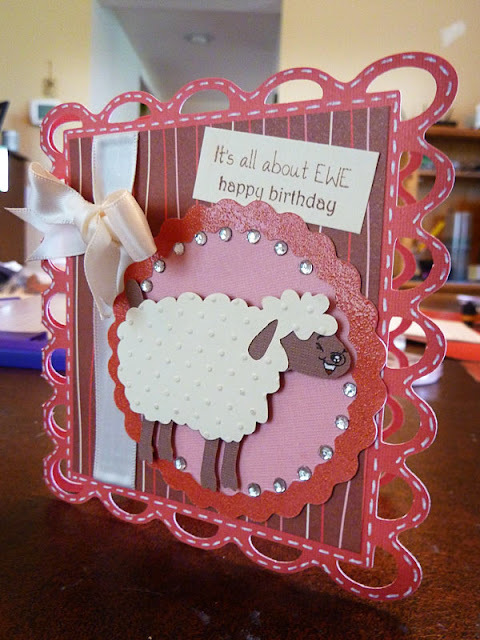 I am also entering this in two different challenges: Peachy Keen's Sketch Challenge to use the sketch they provided - and add some bling - and More Than Favors Wacky Wednesday - zoo theme (they have sheep at our zoo...in the petting farm area! So hopefully that counts!). The card shape is once again from A Child's Year - I am loving all the shapes on there that are great for cards! This is one of the tags resized on my Gypsy and welded - it was originally a rectangle, and I wanted a 5x5 card - love how I can change it on my Gypsy! The circles on the background were also cut from a tag on that same cartridge - the outer one was cut from glitter paper. Found the sheep on Birthday bash, and cut off the extra so it was just a sheep, ran the wool through the Cuttlebug and added a Peachy face from the Wide-Eyed and Bushy Tailed Assortment. Couldn't resist a little more bling, so I added that with my Jolee's heat set tool, and added a bow and some faux stitching. 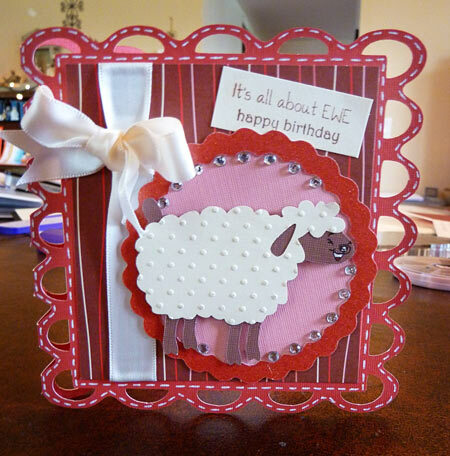 Also pop-dotted the sheep from the background, and added a sentiment from Pink by Design (or actually part of two different sentiments, put together to say what I wanted!). Can't wait to give it to my mom (she loves sheep, by the way!). Daughter number two spent the day sick yesterday, so I spent the time in between taking care of her - catching up on my Scrapbooking!!! 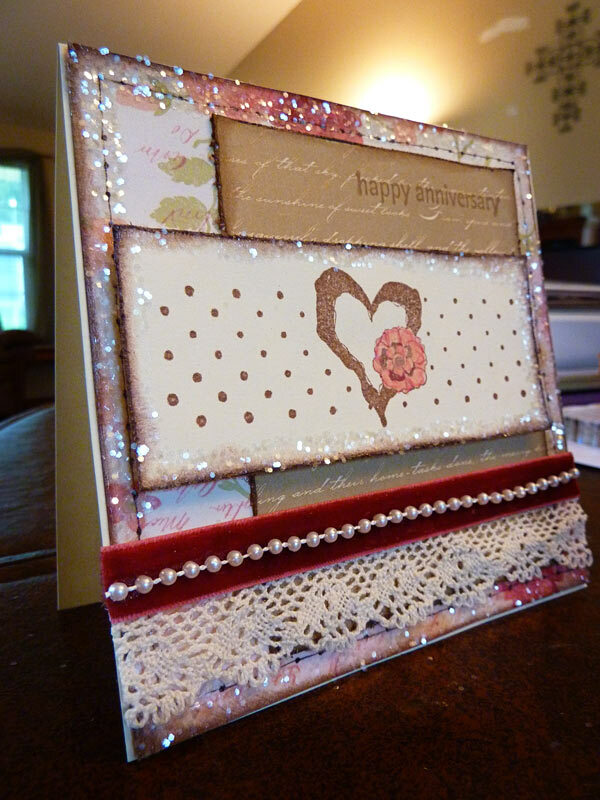 I'm so behind, and making cards is so much fun, and such instant gratification, that I sometimes have a hard time getting the motivation to start on my picture pile. Don't get me wrong - once I get started I really LOVE doing it...but getting motivated when it feels so overwhelming can sometimes be difficult! 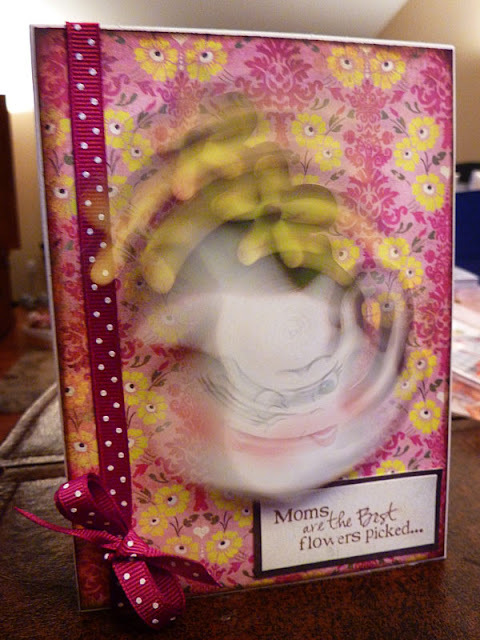 However, at the end of the day, I had to take a few minutes and whip at least one card together! So, I broke out my Unity Stamp February Kit of the Month, and this is what came of it! The second picture shows a little better how I pop-dotted a couple of the layers for a little extra dimension. Added some stick on pearls and a sheer ribbon bow, as well as some inking on each layer. Ahhh...been a couple of days, and it was so much fun to make a card again! Life has been too busy for a couple of days! Anyway, I managed to make it fit 3 different challenges as well!!! The first one is at My Creative Time Throwback Thursday's to make a St. Patricks Day project with an older cartridge. 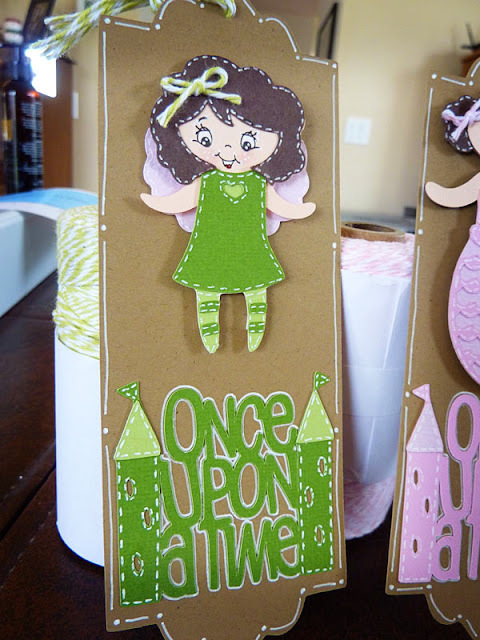 The second one is at Crafting with Cristina to make a St. Patricks Day project using the color green. The last one is over at Cooking with Cricut Double Take - use two pieces of cardstock, two pieces of patterned paper, and two embellishments. I can't find it now, but there was another challenge that was an inspiration challenge - and I was going to use this! The reason being, back 12 years ago (eek! can it really be that long?) when I worked at a local Christian camp during the summer, my camp name was "Clover"! So this card was especially fun for me! All cuts came from the cartridge a Child's Year. 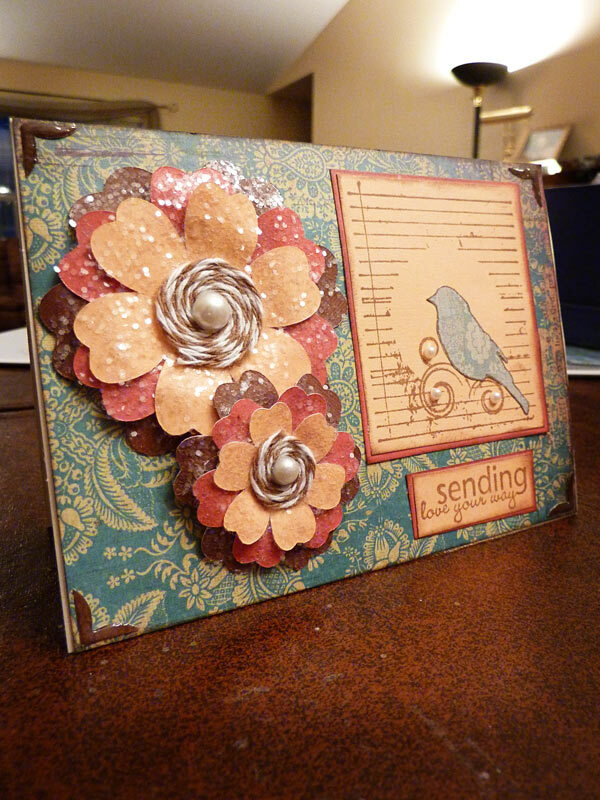 The card base is one of the tag shapes, modified slightly and welded together on my Gypsy. The girl holding the clover is also from that cartridge. 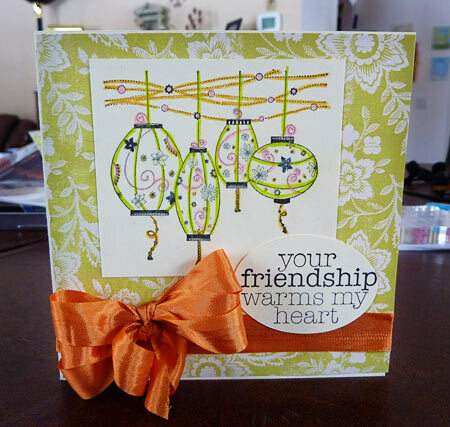 The sentiment came from my February Kit of the Month from Unity Stamps, and I added some Baker's Twine and a button for my two embellishments. So...my poor youngest daughter told me her tummy felt icky this morning - then she proved it! They have both felt icky this morning, so they are spending the day on the couch watching movies. I just realized today that they have never seen Anne of Green Gables - one of both mine and my husbands favorite movies of all times. Seemed like the perfect opportunity, so that is what they are doing. That movie still chokes me up! 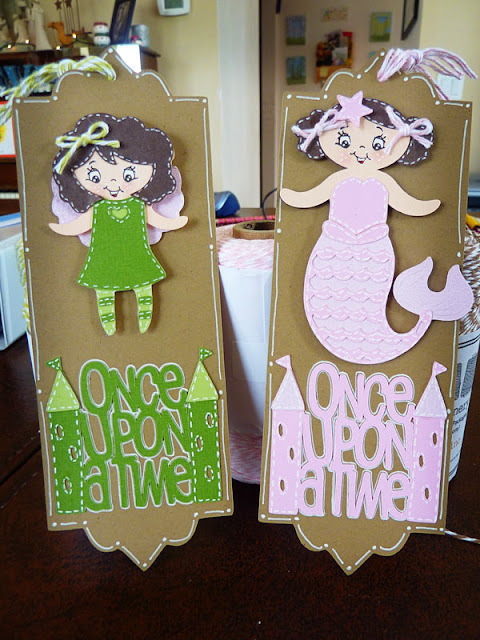 Anyway, I thought it would be a perfect opportunity to make a little something special for them, so I decided to fulfill a couple different challenges and make them each a bookmark to go in their school reading. We homeschool, so they are getting the day off today as a sick day - but they both LOVE to read, so this was a perfect surprise for them. They loved it too! I know they were sick because they didn't notice what I was doing until I gave it to them! So, there are 3 challenges I am entering these in. The first on is over at the Cricut Cardz Challenge, to make a bookmark. The second is on the Cricut Circle blog's weekly challenge to use a fairytale figure somewhere in it. 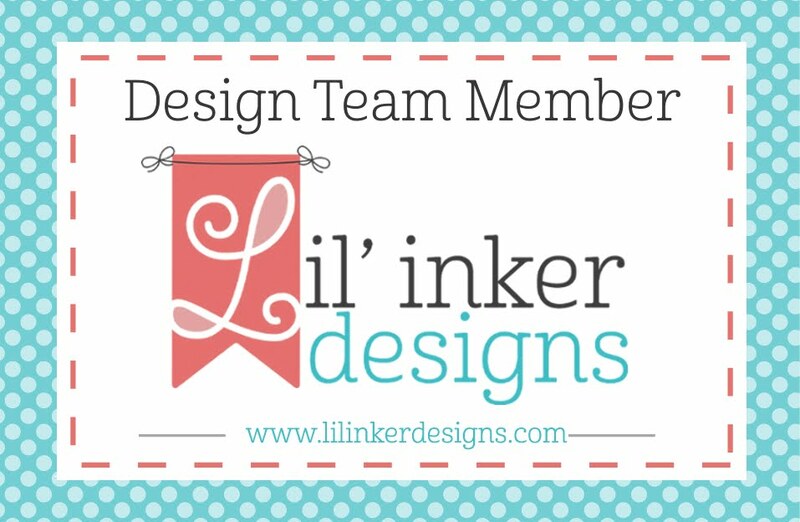 And the last challenge is also on the Cricut Circle, but the monthly challenge - to make a something either for, or in honor of, the children in your life. Thanks for looking - have a great day!!! Having more fun with my glitter and Unity stamps! 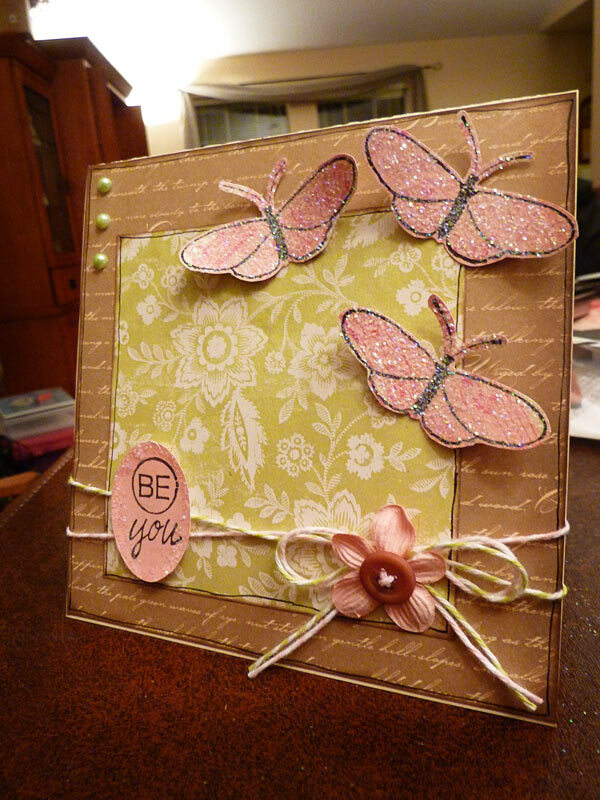 For this card, I used my Unity Stamps February Kit of the Month, stamped the butterflies and sentiment on patterned paper, cut them out, then added glitter. Attached them to the card with pop-dots, added some Baker's Twine with a Prima flower and a button, and finished with a few stick on green pearls on the side and a bit of doodling. Thanks for looking! Just a quick card I made the other day. I'm trying to use glitter a little more in my cards, so I'm still figuring out the best way to do that! All the stamps are from Unity Stamps (surprise, surprise! ), and I colored the heart and branch with my Prismacolor markers. Inked the edges, added glitter, and finished with a bit of Baker's Twine. 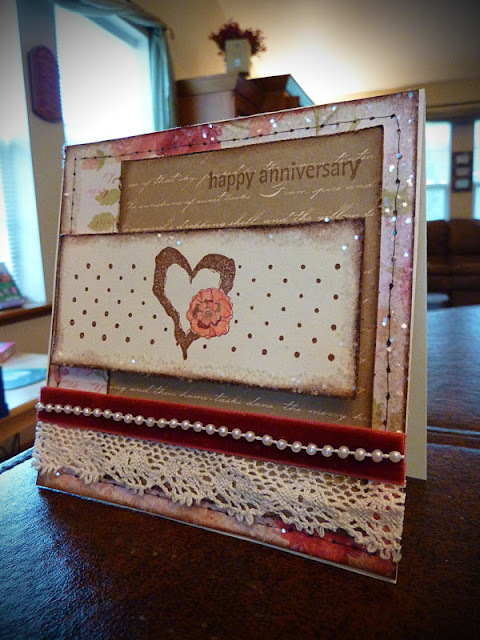 Yesterday I sat down to play a little more with my Unity Stamp kit of the month from February. Funny thing about this image, is that I really didn't care for it that much when I saw it. Don't know why, just wasn't me. However, the more I saw it, the more it grew on me! And now...it is one of my very favorite stamps in the set!!! Funny how that works! Anyway, I just colored the image a bit with my Prismacolor colored pencils, and added a cute bow. (Of course, the bow gave me all KINDS of fits! I love tying simple bows - but this one messed with my head! At least it finally worked, and I am very happy with it! !